Recipe for coconut milk which is the base for most of kerala based dishes. Add the coconut and 11/2 cups of warm water to a blender. Grind it till the coconut becomes a fine paste. Transfer this mixture on to a strainer. Place the strainer on top of a vessel. Extract the coconut milk by pressing the coconut against the strainer with a spoon or squeezing out the milk with your hand as is done traditionally. This is the first milk. Place the coconut from which the first milk is extracted back in the blender. Grind this well with 1 cup of warm water. 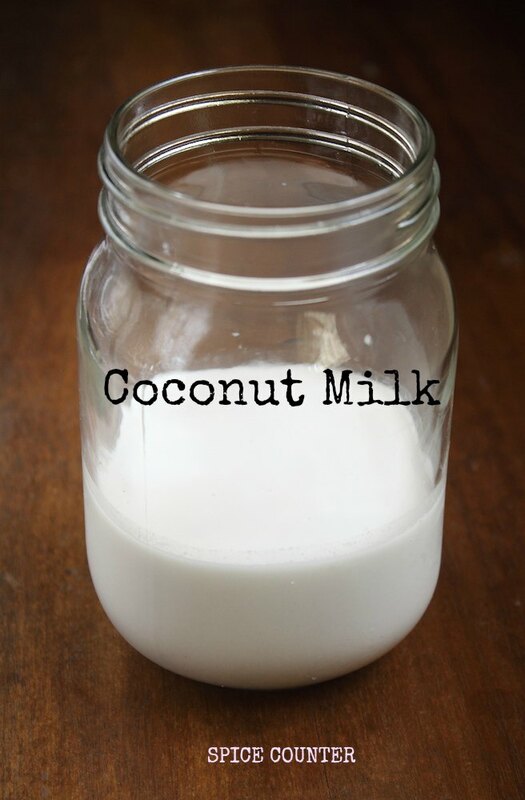 If the third milk is required place the coconut back in the blender. Grind this again with 1 cup of warm water. Extract the third milk from the coconut.